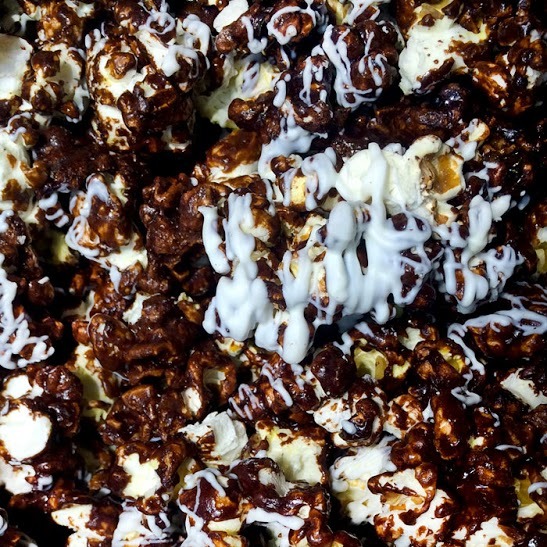 A new tasty twist on marshmallows by the campfire We layered our chocolate popcorn with a marshmallow white chocolate to create the perfect new snack. Call 712-560-6973 or email koatedkernels@hotmail.com to order our Bulk Party Bags (44 cups) Chocolate Marshmallow = $30. Available for in-store pick up.